An essay on film style, fear, immersion and identification in the Italian film Salvo (2013). A new chapter on Italian neorealism is written in the cinematic underworlds of Napels and Sicily, where formalistic filmmakers find their entrances to the harsh realities of daily mafiosi life. This bold hypothesis may sound completely arbitrary, but it actually connects to compelling insights in recent scholarship. 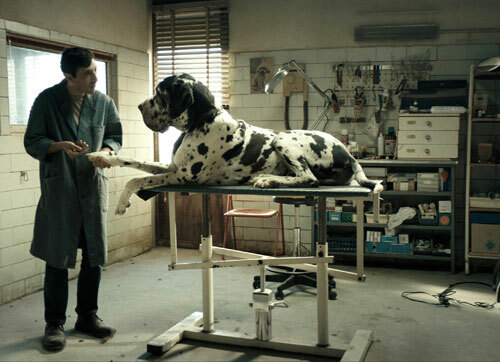 A significant deal of literature has been written about the films of, among others, Roman filmmaker Matteo Garrone (1968-), whose oeuvre is regularly connected to ‘a new trend in Italian cinema’. Antonio Rossini and Carmela Bernadetta Scala state that ‘’ …the old school of neorealism blends perfectly with the new trends in Italian cinema which we have called ‘’new neorealism’’’’. For Roberta di Carmine, the films of Garrone ‘’ signal Italian cinema’s recovery from a state of ‘creative stagnation’’’.